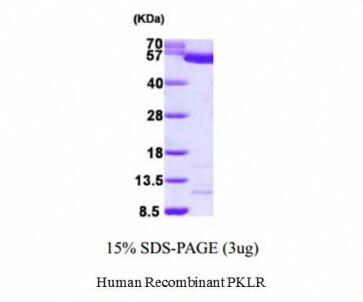 Human Recombinant PKLR | 6373 | BioVision, Inc.
Pyruvate kinase isozyme R/L, PK1, PKL, PKR, PKRL, RPK. 1 mg/ml solution in 20 mM Tris-HCl buffer (pH 8.0) containing 0.2 M NaCl, 1 mM DTT and 10% glycerol. 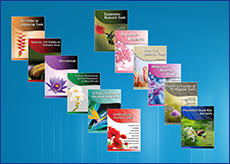 PKLR is a pyruvate kinase which catalyzes the trans phosphorylation of Phosphoenolpyruvate into pyruvate and ATP. That is the rate-limiting step of glycolysis. PKLR gene encodes the L- and R-type isoenzymes through alternate splicing events controlled by different promoters. The L-type isoform can also appear as a tetramer and is upregulated by glucose with implications in maturity-onset diabetes of the young.